In the aftermath of a midterm election cycle rife with voter suppression allegations, Democrats in the House of Representatives have unveiled their first bill of this new Congress: H.R. 1, or the "For the People" Act. It is a sorely needed package of anti-corruption measures to protect election security and voting rights, and it comes with massive support from the American public. The legislation seeks to reform campaign finance, most notably by calling for a constitutional amendment to end Citizens United and requiring that the sources of political ads and donations are made public; ethics, by mandating the release of 10 years of tax returns for presidential and vice presidential candidates (including current office holders) and forbidding members of Congress from using taxpayer money to settle sexual harassment or discrimination claims; and voting rights, by making Election Day a federal holiday, ending partisan or racial gerrymandering, increasing election security, protecting voters from being purged from the rolls, and training more poll workers ahead of 2020. The bill's main obstacle to passage will come in the Senate, where Senate Majority Leader Mitch McConnell (R-KY) has called the bill a "power grab." That the Republican leader would claim this bill, which protects Americans' most fundamental right of voting, is anything resembling a "power grab" is unsettling, to say the least. 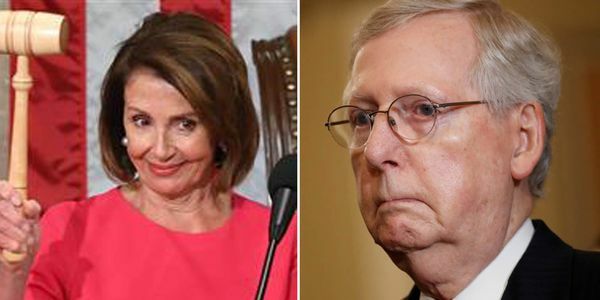 Clearly, McConnell and his Republican colleagues realize that Democrats have been so egregiously disenfranchised — a reality that benefits Republicans — that any effort to make voting easier for the American people could benefit the Democratic Party. They've proven that they'd rather maintain their grip on power than protect the tenets of our democracy. We, the undersigned, demand that Senate Republicans put petty partisan politics aside and join Congressional Democrats in defending the essence of what actually makes this country great: the right to participate in our democratic process.